At San Pedro Summer Camp, campers trade the distractions of daily life (and technology) for a week of faith, friends and fun! Our summer camps offer youth the opportunity to encounter Christ and discover God’s transformative love through the sacraments and prayer. At the same time, they build lifelong friendships, as they participate in an array of group activities, such as our low ropes course, archery, giant slip and slide, arts and crafts, and silly skits. This summer, come to San Pedro Summer Camp and be transformed by faith, friends and fun! There is a $50 non-refundable deposit to register your camper. At San Pedro Summer Camp, campers trade the distractions (and tech) of daily life for a week of faith, friends and fun! They become immersed in our Catholic faith through the sacraments and prayer. Campers build lifelong friendships through the fun of our low ropes course, archery and giant slip and slide. They experience a life changing week where they encounter Christ and discover God’s transformative love while participating in outdoor activities and silly skits. This summer, come to San Pedro Summer Camp and be transformed by faith, friends and fun! San Pedro Catholic Camp is staffed by qualified young men and women who are active in Church ministry and have a deep sense of God in their own lives. Our number one priority is to ensure that all campers and volunteers are physically and emotionally safe. Our staff and volunteers complete a careful screening process and receive training in their responsibilities. Additionally, all staff are “Safe Environment” trained. We have a 1:4 counselor-to-camper ratio. Campers encounter the person of Christ through teaching, witnesses and the sacramental life of the church. They grow in their Catholic faith through daily Mass, prayer services, catechetical talks, the lived witness of our counselors, family group sharing time, adoration of the Blessed Sacrament and the sacrament of Reconciliation. Campers experience a welcoming environment where they feel free to be the person God is calling them to be, surrounded by others with the same freedom. As many of our grown campers can tell you, camp friends are life-long! Campers engage in an exciting camp experience, including games, outdoor activities, arts & crafts, camp songs, skits and more! Some of our outdoor activities include our low ropes course, archery, giant slip slide (or “soapy tarp”), gaga ball, 9 Square in the Air, a pool, paddle boats, water games, and sports games like basketball, flag football, soccer, handball, dodge ball, and kickball. 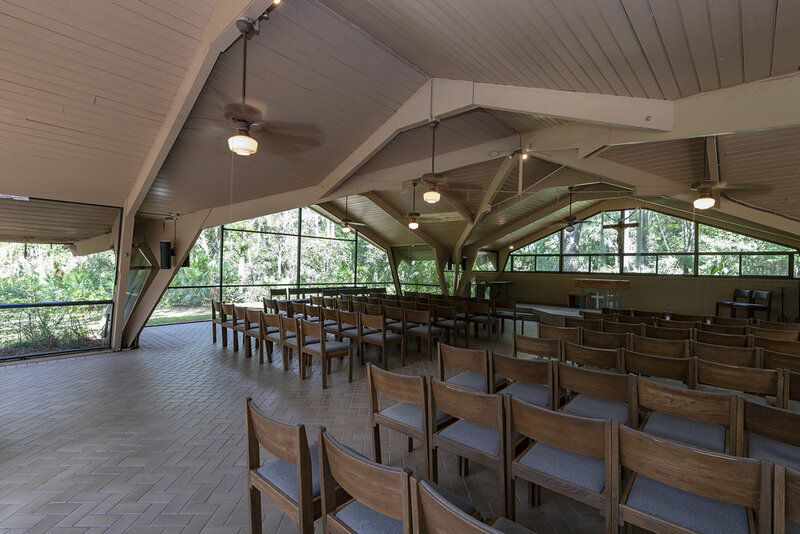 St. Anthony of Padua Hall, usually just referred to as “Main Hall,” is the primary location for indoor camp activities. Whether it’s an intense game of handball or a meaningful counselor witness talk, this space becomes our central camp location. Located in Main Hall, our Health Office is run by our Camp Nurse. This space is equipped to handle each campers’ needs as they arise. Located in Main Hall, our Art Room provides a space for campers to get creative with the themed art project each day! We also have ongoing craft supplies for friendship bracelets, perler bead crafts, rosary making, coloring and more! 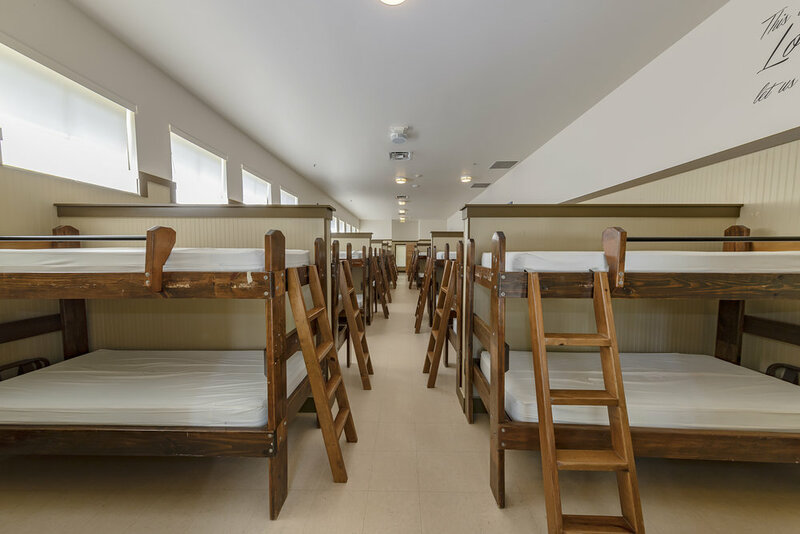 The women’s and men’s bunk houses each have communal bathrooms and private shower stalls. When campers arrive for an overnight camp week, they are able to pick their bunk on a first come, first serve basis. Good food and camp songs abound in St. Francis Hall! Our menu is designed with campers’ taste buds in mind. Our chef is able to accommodate most dietary needs– contact our Camp Director if you have specific questions. 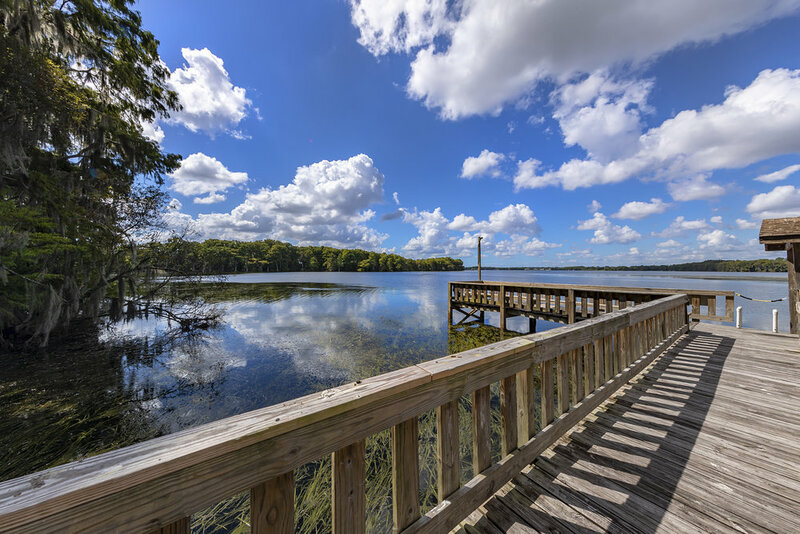 Our dock overlooks Florida wetlands and the beautiful Lake Howell. Campers are able to use our canoes and paddle boats to explore the area under the supervision of a trained life guard. Our Low Ropes Course combines Gospel values with adventure-based learning. Campers experience what it’s like to work as a team and counselors help them to connect these lived experiences to the journey of faith. The result is enhanced team-building, self-confidence, and leadership development. In the Florida heat, many campers take advantage of our outdoor pool. When the pool is in use, campers are always under the supervision of a trained life guard. San Pedro Summer Camp utilizes CampDoc.com for our registration, payment and medical records. This system helps us consolidate information into a centralized and secure location. Only designated San Pedro personnel will have access to camper health information, and the CampDoc.com site is secure, encrypted and password protected. Once you sign up for a CampDoc.com account, you will be able to register your camper, select which camp week(s) they wish to attend, and make your payments through their secure website. You will receive additional information about how to complete your camper’s health profile by email. You will also receive periodic email notifications if you have not completed required information or payment. We are excited to continually evolve, building safer, more productive, and more efficient systems to create the best experience for you and your family! Make the summer one to remember for all campers! Counselors and volunteers are critical to camp’s success. For more information and to download an application, follow the links below.